The third in a series of town hall styled community consultations continued in Constituency #5 at the Sandy Point Community Centre on Tuesday night. 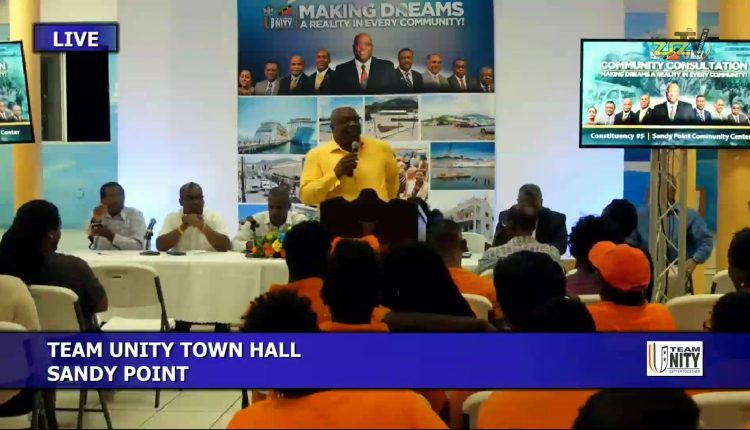 Prime Minister of St. Kitts and Nevis, Dr. Hon. 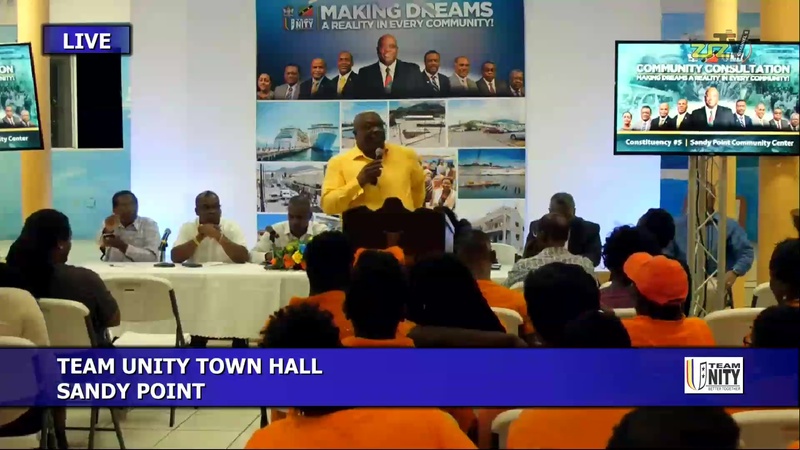 Timothy Harris and Deputy Prime minister who is also the representative for Constituency #5, Hon. 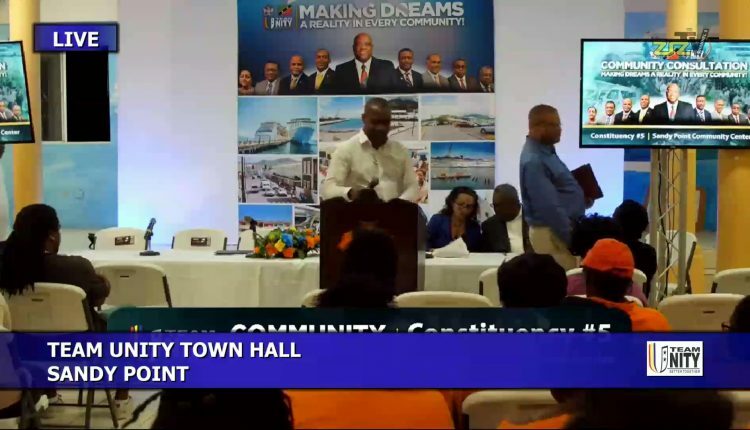 Shawn Richards delivered presentations highlighting the government’s ongoing work of socioeconomic development at the meeting. Minister of Public Infrastructure, Hon. 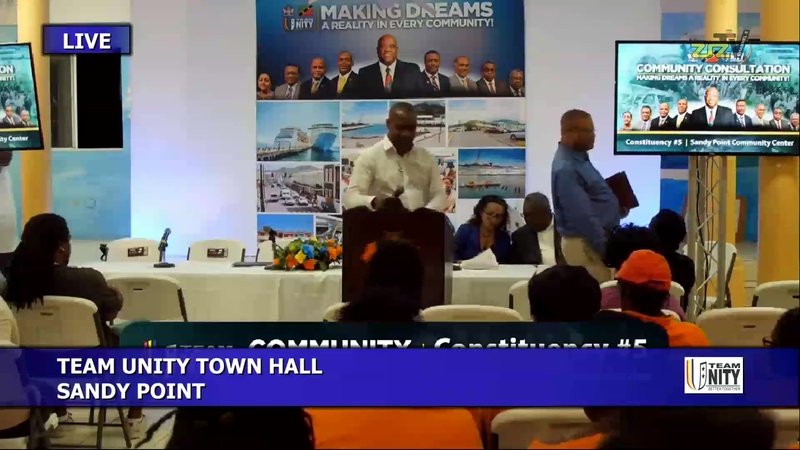 Ian Liburd, Minister of State, Senator The Hon. Wendy Phipps, Attorney General The Hon. Vincent Byron and Senator the Hon. 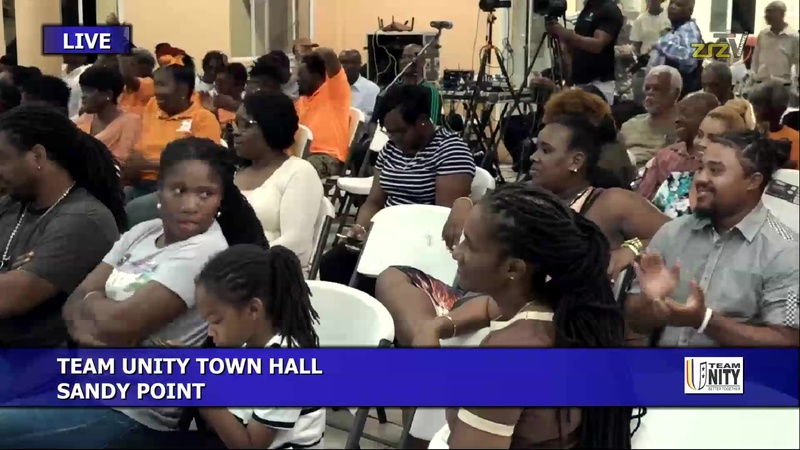 Akilah Byron Nisbett were also present at the consultation. 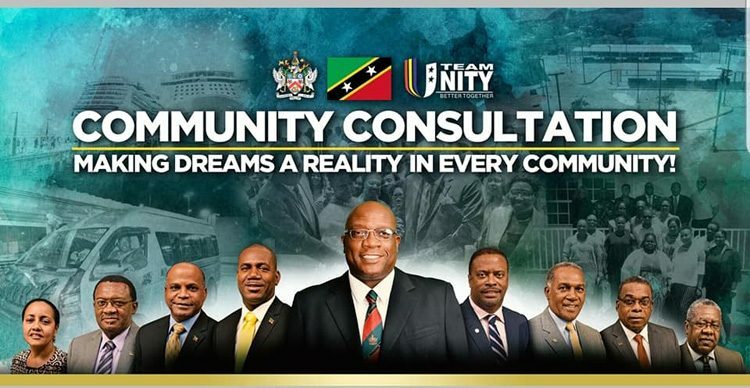 The community consultations form part of the government’s good governance strategy to take its mandate into the heart of communities. The series continue on Tuesday April 2 at the Cayon Community Centre.